Does Loan Rejection Affect Credit Score? Banks and financial institutions submit credit information related to the borrowers including outstanding amount, overdue status etc. to Credit Information Companies (CICs). They organise this data to be seen by other players in the financial system and also by users on specific request. There are 4 such companies registered and currently operating in India including CIBIL Transunion, Experian, Equifax, and CRIF High Mark. These companies not only act as repositories of the credit information but also provide you with a much simplified and meaningful expression of your credit history in the form of credit score. All these factors can help measure prospective credit risk for a lender on sanctioning a loan to you. 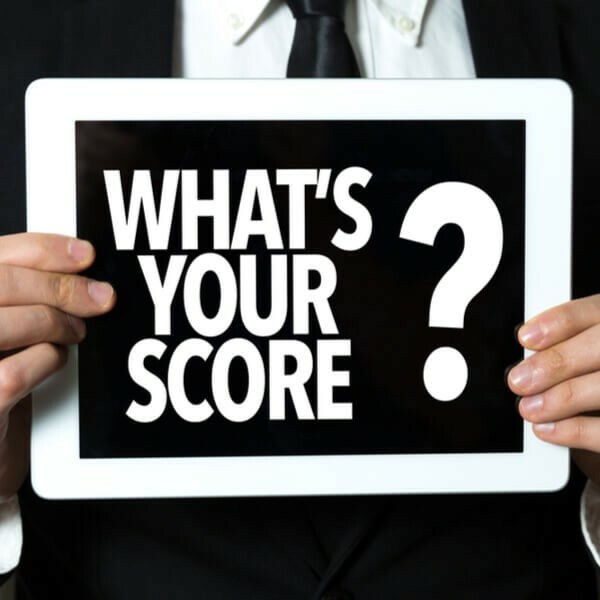 Credit score is measured on a scale of 300 to 900, wherein a lower score conveys a higher credit risk and similarly, a higher credit score shows a lower credit risk. In other words, higher the credit score, a better borrower you can be expected to be for the bank. Does credit report reflect the outcome of my credit application? As shown in the above graphic, credit account applications over past 30 days do tend to impact the credit score. However, there is no direct correlation between a loan rejection and credit score. This is simply on account of the fact that banks are not required to report the outcome of the credit account application in the credit history. So, your credit report will not be shown if any of your loans had got rejected. The Lender may not be providing the financing facilities in the geography of your stay for the loan type suiting your requirements. You may have found the required funds outside the banking network, i.e. from your personal network of friends and relatives. Considering the above reasons, it is not possible for the other bankers to know why your previous credit application did not convert to a loan or inferring anything meaningful out of it. As such, even if your loan application got rejected, it won’t directly have any impact your credit score. So loan rejection may not affect credit score. However, credit report does reflect the list of recent loan inquiries as well, amidst the details of your debts, repayment history etc. The list of inquiries may or may not reflect the name of the inquiring bank and further, also does not specify the type of loan (personal loan, education loan, home loan etc.). So, even if you have applied for multiple loans at the same time, you may be perceived as applying for the same loan multiple times. In the same fashion, a high number of loan applications within a short span of time may be reflective of loan rejections by a few banks, since the borrower may have tried to approach other banks thereafter. Being judgmental through the information in the credit report, you may also be seen as a credit hungry individual or the one who has a heavy reliance on debt. You must keep monitoring your credit report periodically through the website of any of the Credit Information Companies. Maintaining a high credit score is certainly beneficial for you as it impacts your access to credit facilities and may also help you avail the loan on favourable terms in case of better credit score. MoneyView provides you instant loans, if you are looking for quick funds for any purpose. This story was originally published on Money View.